Queen of Mbalax Viviane Chidid just released an acoustic version of her latest song 'Fans Yi'. She got rid of the uptempo beat and let us enjoy her vocal ability better. 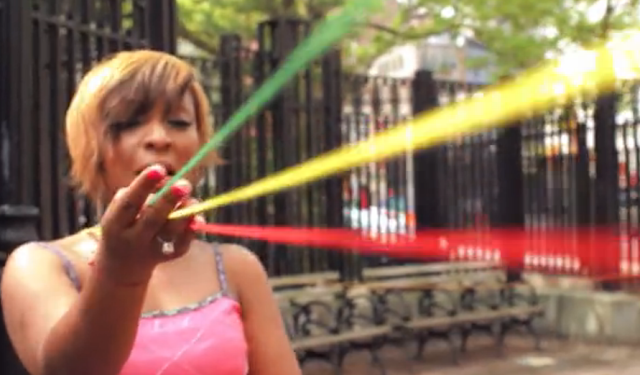 Plus, the video of the new track, shot in New York City, shows the Senegalese star following green, yellow and red yarns throughout the city. This is a nice touch as the yarns symbolize her origins and the fact that no matter where she is, she will always find her way to Senegal and her fans! Also, Raekwon from the Wu Tang Clan makes a cameo appearance.